In this workshop, the intention is to set up a sacred safe and playful container to guide you through an experiential ceremony connecting to sound, nature, the medicine wheel, and shamanic journeying. We will call in sacred space by drawing from the protection of the elements in alignment with the Earthkeepers Medicine Wheel used by indigenous medicine elders. Through guided movement we will shape shift and embody the spirits of the Serpent, Jaguar, Hummingbird & Eagle, while giving thanks to father sky and mother earth. Through playful expression and vocal releases we can utilize nature & our own inner voice as a way to connect to our primal animal instincts, awareness of emotions, release of old patterns of conditioning and embrace great spirit as it moves through us. Our journey together will end with the shamanic beat of the drum to enter into transpersonal realms to meet our power animal & receive any messages from spirit and/or our higher selves & guides. Scientific studies have shown that the steady drum beat puts one in a trance state, tapping into our theta brain wave consciousness where deep meditation is acessed. In this state, we can receive messages and healing insights from our higher guides, who have much to tell and show us. Bring a question for your guides, a notebook to journal after your journey, and a blanket or coat to keep you warm. This will be a safe and sacred space for us to tap into our divine playful energy and get into the ritual art of shamanic journeying. Ever a curious soul, Christina received her masters degree in Psychology in 2008, and promptly decided to leave the US to discover humanity first hand through travel, music, and real world experience. Discovering classical Yoga in a little village in the North of Thailand, Christina combines her Western education with an Eastern philosophical understanding. Her travels brought her to Guatemala where her connection to the plant medicine Cacao struck a chord in her heart. A vocalist since a child, Christina taps into the spirit realm using sound & chocolate to help others release blocks towards a vibrant, happy, & connected life. 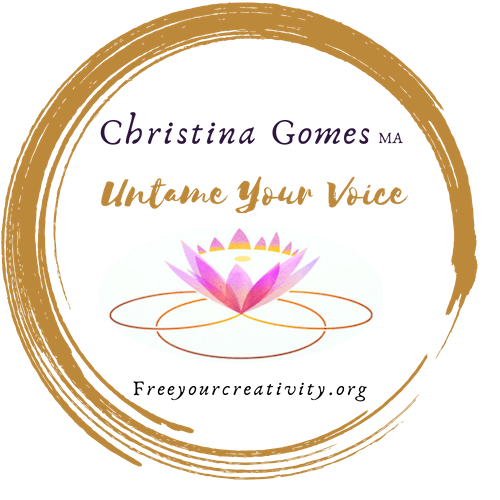 By unleashing the power of the voice, Christina helps people all over the world find their authentic truth, and sing it out loud. Cacao is the raw form of chocolate & is a plant medicine used by indigenous tribes in Central & South America in ceremony & ritual. The Cacao we use is planted, harvested, & processed by an indigenous woman’s collective in the lush and abundant heart lands of Guatemala. From seed to cup this Cacao has been blessed by the feminine touch. The spirit of Cacao is a sister, feminine energy & the prophecy of Cacao is that it returns to the hands of Medicine Women. When purchasing this particular Cacao, we are circulating abundance to the local families who protect, process, & pray over the land. We offer this medicine in humble respect for the elders who teach us about its magic. Watch this short video to see Cacao in action.